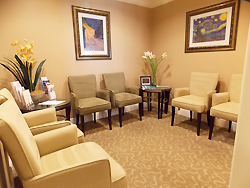 Dr. Ayan is a licensed general dentist in the state of Florida with extensive continuing education since graduating from University of Florida College of Dentistry in 1994, as well as being licensed in the state of New York since 2009. She has received post-graduate training at world-renowned facilities including The Pankey Institute, Dawson Center for Advanced Studies, Misch Implant Institute, and Albert Einstein College of Medicine. Dr. Ayan received a Fellowship with the Academy of General Dentistry in 2001, and served as President of the Southeast Florida Academy of General Dentistry from 2002 to 2003. Dr. Ayan was invited to join the Florida board of the AGD in 2016. Dr. Ayan received the Fellowship in the International Congress of Oral Implantologists in 2009 and was awarded the Master of the Academy of General Dentistry in 2011. She is certified in IV sedation, and in 2010, was a clinical investigator with the national Dental Practice-Based Research Network. 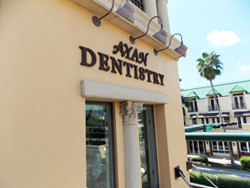 Dr. Ayan is currently the only dentist in Collier County as a Master of the Academy of General Dentistry. Doctor Ayan says, "I am so fortunate to be able to have such a rewarding career where I can practice what I love on a daily basis! 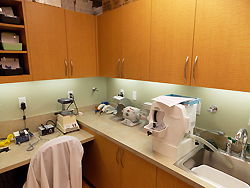 My goal when I created Ayan Dentistry was to be able to provide the dentistry that I would want as a patient in terms of quality and care." She goes on to say, "I have a strong interest and experience in cosmetic dentistry, occlusion, implants and providing comprehensive care with a strong emphasis on prevention. I believe in educating patients and forming a relationship with them with compassion and care." 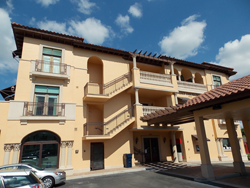 Dr. Ayan has lived in Naples since 2003, and has become an active member of the community, serving on several school committees for St. Ann School, Naples High and Mason Classical Academy. She was a member of the St. Ann School Board from 2006 - 2013, acting as board chairwoman 2011 - 2013, and has served on several committees on the Fifth Avenue Board Improvement District. Dr. Ayan is happily married, and a proud mom to three children. She is fluent in English and Spanish and speaks some French. For more information, please call (239) 732-9000.